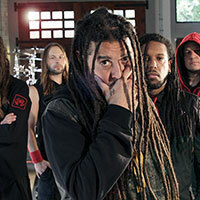 Nonpoint only becomes fiercer with each subsequent album. 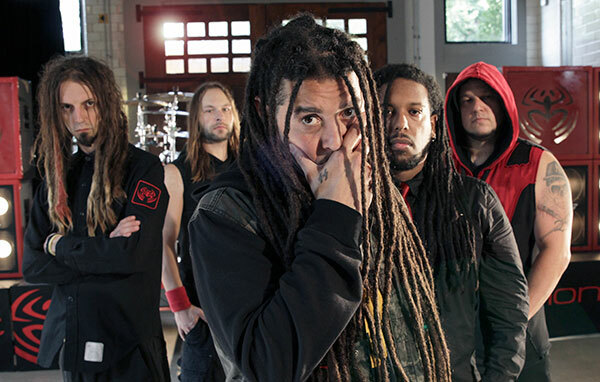 Their eighth full-length offering, The Return, is no exception either. After 17 years in the game, the Florida quintet sustains the same energy that sparked its foundation back in 1997. The riffs crack with neck-snapping intensity, the bass and drums forge an unmatched groove, and the vocals rapidly recount stories of pain and perseverance. 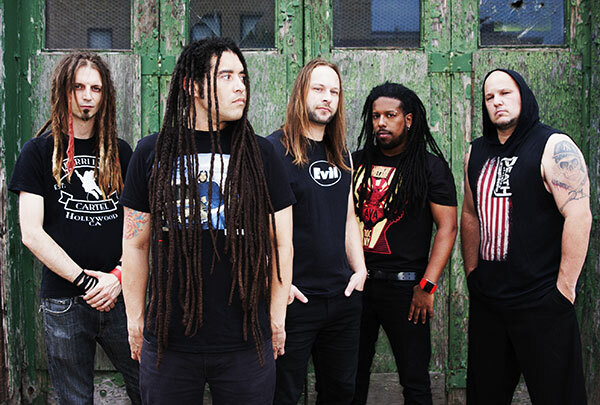 The Return remains as raw, ripping, and real as these musicians – Elias Soriano [vocals], Robb Rivera [drums], Rasheed Thomas [guitar], Adam Woloszyn [bass], and B.C. Kochmit [guitar] – get. 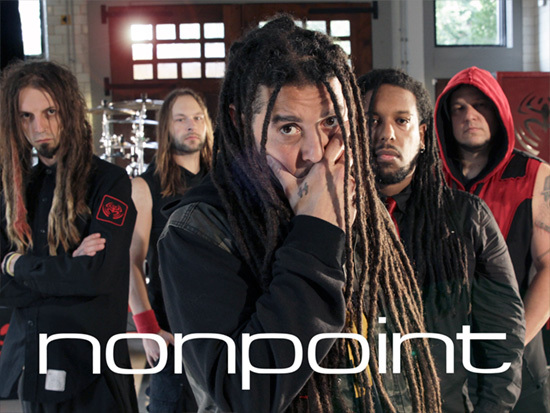 In late 2013, Nonpoint closed out a year of touring behind 2012′s self-titled record, which yielded the Active Rock radio hit “Left For You.” Fueled by that continued success and their time on the road, they immediately began writing for album number eight. This time around, the band amped ups the aggression musically, while Elias drew inspiration from a whole new well altogether. 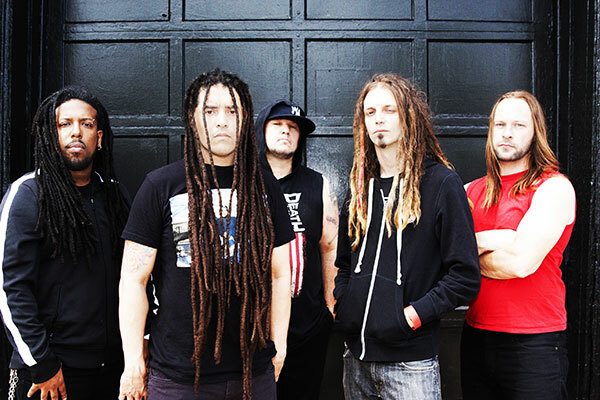 In February 2014, with this mindset, the guys entered Groovemaster Studios with Grammy Award-nominated producer Johnny K [Disturbed, Staind, Megadeth] and engineer Daniel Salcidoto. It marked their second collaboration together, and this time, the band had already amassed an arsenal of tight and tough material. 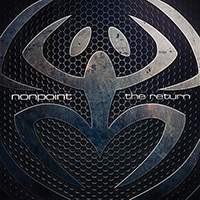 Not only does The Return match the pristine sonic power of Nonpoint, but the songs stand out as some of their catchiest and most crushing output to date. The first single “Breaking Skin” pierces with sharp and slick guitars before catapulting into a catchy chorus, punctuated by the vocalist’s punchy delivery. 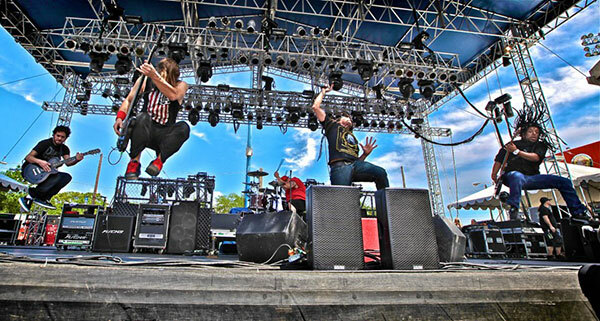 A vital energy has coursed through Nonpoint‘s music since day one. As a result, they’ve sold over 800,000 albums in North America alone, yielding hits including “What A Day“, “Bullet With A Name“, and a cover of Phil Collins’ “In The Air Tonight” – which appeared in Miami Vice. 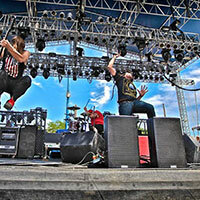 They’ve also crisscrossed the country with everybody from Stone Sour, Disturbed, and Papa Roach to Sevendust, All That Remains, and Device, also appearing at festivals including OZZfest, Rock on the Range, and Summerfest.